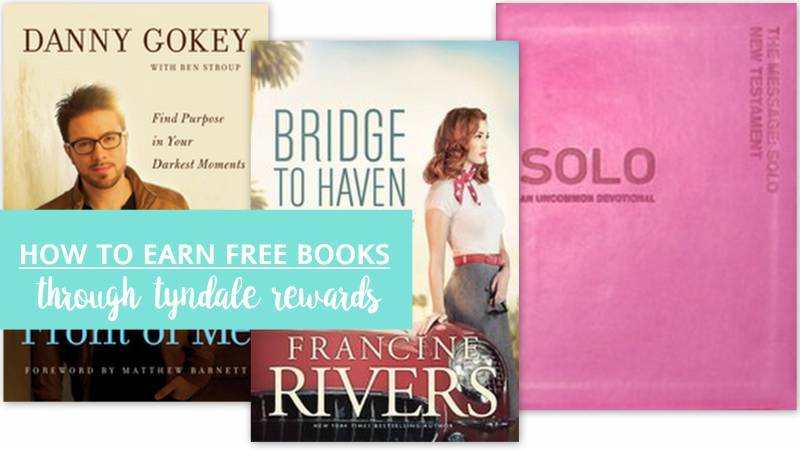 Earn Free Books with Tyndale Rewards + A Giveaway! 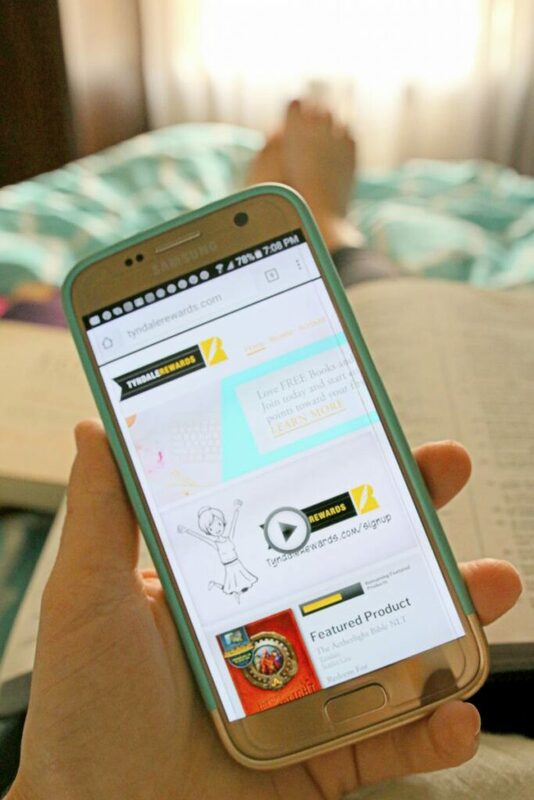 Home » Blog » Earn Free Books with Tyndale Rewards + A Giveaway! 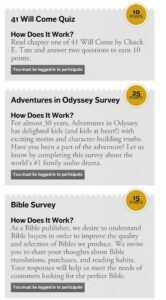 Have you heard of the Tyndale Rewards program? 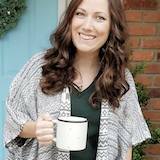 Tyndale House asked if could share with ya’ll, an absolutely free way to earn REAL. BOOKS. 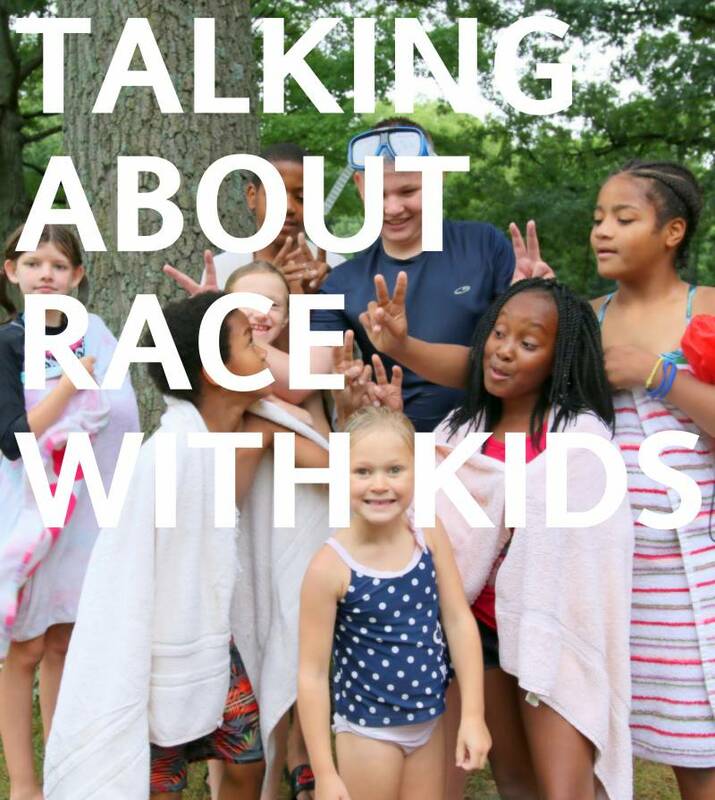 Being the book loving, deal seeking, pastor’s family that we are, I didn’t have to think twice about the relevance their program would have for me personally. 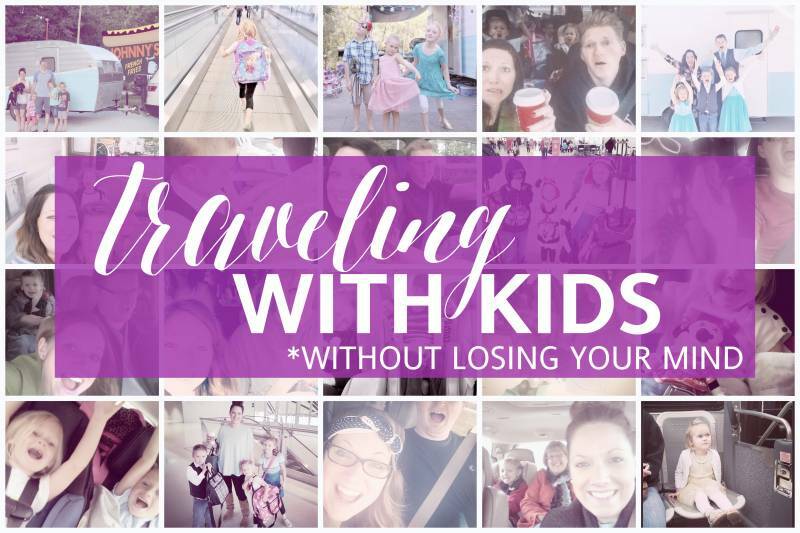 I’m sharing today about how it works. Maybe you could benefit from it as much as I have! As a member of the Tyndale Rewards program, you’ll have access to inspiring literature, Bibles, special promotional offers, and much more. 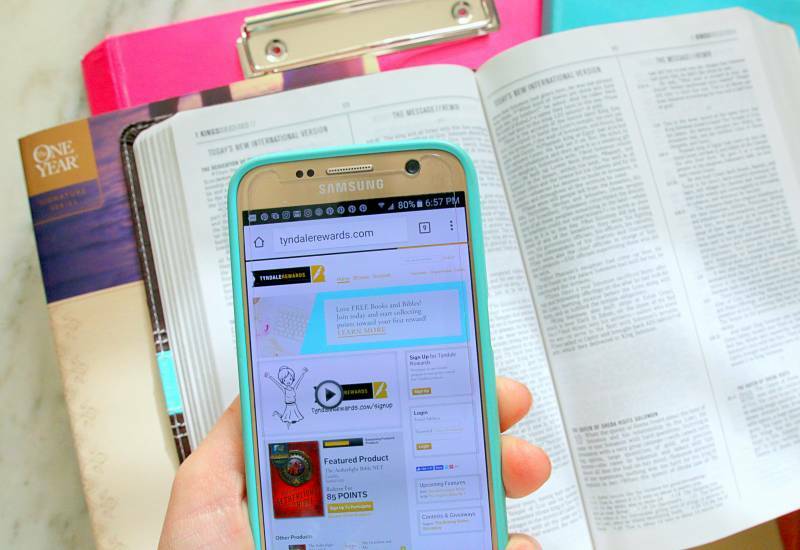 Member incentives include a free gift on your birthday, opportunities to share your personal recommendations and feedback concerning Tyndale products, and the chance to connect with other book lovers on social media. …and more points mean more free products! Click on the “Earn Points” link for a listing of current promotions and point earning opportunities. I took a screen shot of the current opportunities that showed up today. You can see them pictured here on the left. Once you’ve accumulated points, brows through the generous selection of books, Bibles, devotional materials and audio CD’s and make your selection! It really is that easy. Basically, they’re rewarding you for helping them out. 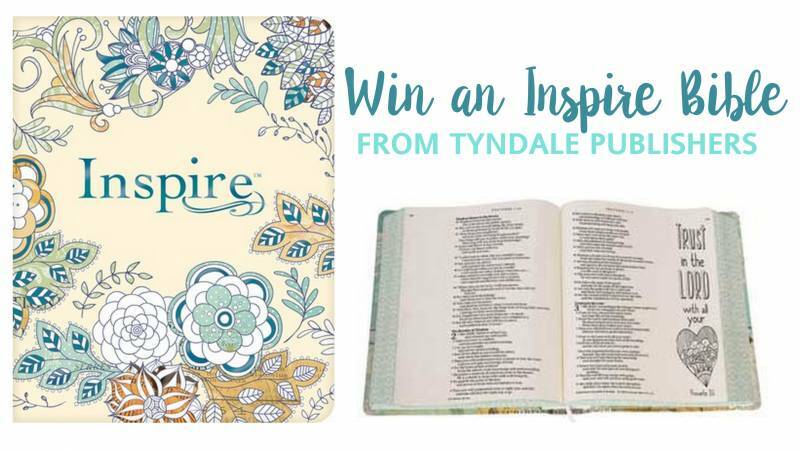 Tyndale has generously offered to provide a copy of their new Inspire Bible as a giveaway for one of my readers! Inspire is a single-column, wide-margin New Living Translation Bible that will be a cherished resource for coloring and creative art journaling. It is the first Bible of its kind—with over 400 beautiful line-art illustrations spread throughout the Bible. Full-page and partial-page Scripture art is attractively displayed throughout the Bible, and the illustrations can be colored in to make each Bible unique, colorful, and customizable. Every page of Scripture has two-inch-wide margins, with either Scripture line-art or ruled space for writing notes and reflections, or to draw and create. Enter below for your chance to win a copy of this beautiful new Bible.